A couple of weeks ago, in late August, a [paper] was published that re-examined a fossil that has been known for 30 years. This fossil is a partial skull of a plesiosaur. Plesiosaurs were aquatic reptiles that lived in the oceans during the Mesozoic. They all had large, paddle-like limbs to help swim in the water. Some of them had big heads and short necks and some had small heads and a long neck. Some of the different plesiosaurs. This image is made with children’s toy models, but it shows how some plesiosaurs have big heads and some had small heads. From here. 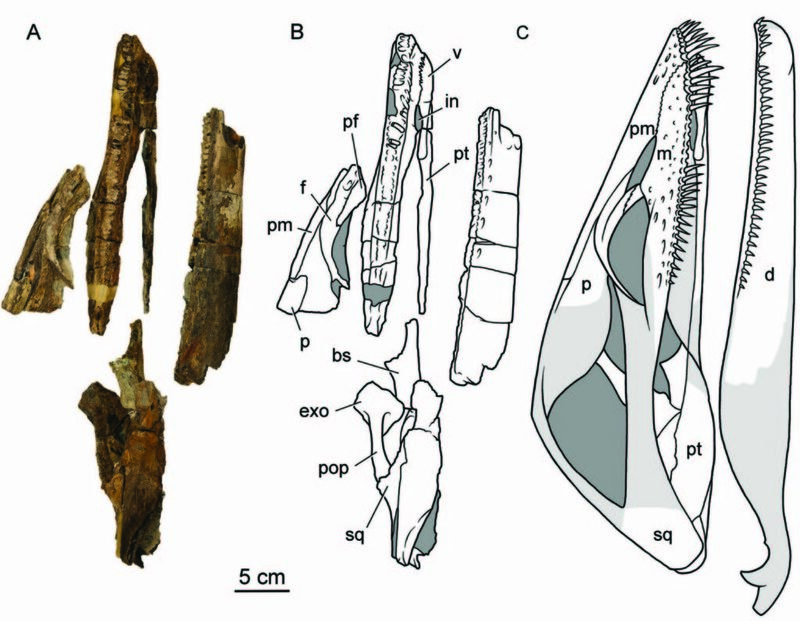 The fossil plesiosaur from this paper is called Morturneria seymourensis and it’s from Seymour Island, Antarctica. Even though we’ve had this fossil for a long time, paleontologists couldn’t figure out how the bones fit together. A discovery of a different plesiosaur fossil helped put the pieces of Morturneria together. Figure 2 from the paper showing the parts of the skull on the left, the interpretation in the middle, and the reconstruction on the right. All of the images are in side view, with the tip of the nose pointing upward. Now that the authors knew what the skull looked like, they made some interesting observations. The jaw is wide and can open very far. The teeth are loosely held in place and they come out to the sides of the jaw, instead of up and down. 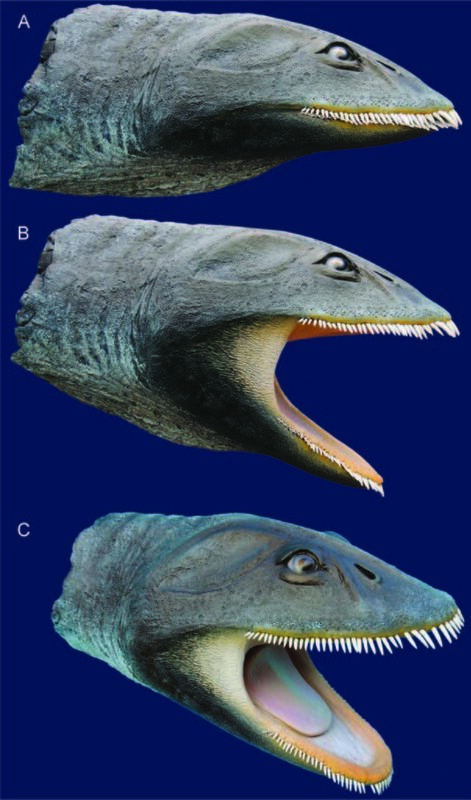 Figure 10 from the paper showing an artist reconstruction of Morturneria. They think that these characteristics show that Morturneria was using its mouth like a sieve. It would take in a large amount of water or sediment around its food and push out the water and sediment through its teeth. This would move the water out of its mouth, but keep the food in. Modern baleen whales do the same thing, except they use baleen instead of teeth. Mortuneria is the first marine reptile to have filter-fed!